Schutzhund is a German word meaning "protection dog." It refers to a sport that focuses on developing and evaluating those traits in dogs that make them more useful and happier companions to their owners. Schutzhund work concentrates on three parts. Many are familiar with the obedience work of the American Kennel Club's affiliates and will recognize the first two parts, tracking and obedience. The Schutzhund standards for the third part, protection work, are similar to those for dogs in police work. 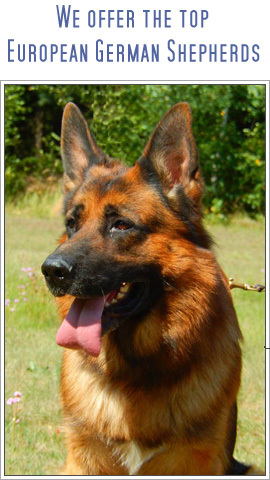 While dogs of other breeds are also actively involved in the sport of Schutzhund and often follow similar criteria for breeding purposes, this breed evaluation test was developed specifically for the German Shepherd Dog. Schutzhund is intended to demonstrate the dog's intelligence and utility. As a working trial, Schutzhund measures the dog's mental stability, endurance, structural efficiencies, ability to scent, willingness to work, courage, and trainability. This working dog sport offers an opportunity for dog owners to train their dog and compete with each other for recognition of both the handler's ability to train and the dog's ability to perform as required. It is a sport enjoyed by persons of varied professions, who join together in a camaraderie born of their common interest in working with their dogs. Persons of all ages and conditions of life even those with significant disabilities enjoy Schutzhund as a sport. Often, it is a family sport. The BH or companion dog title is a pre-requirement for Schutzhund titles. All breeds and sizes are eligible with the minimum age requirements of 15 months. 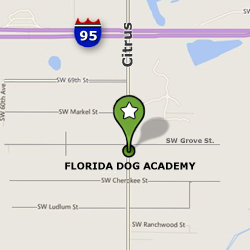 In addition to the Schutzhund temperament tests, the United Schutzhund Clubs of America offer three training degrees: the FH 1 and FH 2, advanced tracking degrees; WH, or basic protection degree which includes basic obedience, and the AD which is an 12.5 mile endurance test and includes obedience. USA also offers six seperate obedience and tracking titles that reflect the routines for SchH 1, 2, & 3 levels.